Merchant Cash Advance Alternative To A Small Business Loan? Is A Merchant Cash Advance alternative viable for your small business? Both the MCA and a small business loan are two popular financing options available to small businesses. Both financial options will help provide your business additional capital to expand activities, hire additional staffing, invest in inventory or help cover short-term debts. While similar in benefits, each financial option has differences in qualifications and repayment that you should consider before making a decision which is best for your business. A merchant cash advance is designed for those businesses that receive a high volume of credit card sales. Your business will receive a lump sum of capital by selling (factoring) a percentage of your business´ future credit card sales toward the remittance (payment) of the advance. The amount of the lump sum will be determined primarily by your business´ monthly credit card sales volume. Qualifications – The MCA lender will evaluate your business primarily based on your volume and consistency of credit card sales. Normally 3-4 months of merchant credit card statements will be required. If your business is seasonal in nature (with its highs and lows of credit card sales), additional months of reporting may be required. Normally you will need to have been in business a minimum of six months to qualify. While your personal and business credit history will be reviewed by the MCA lender, it is less of factor since it is the future credit card sales that will ensure repayment. Unlike other financial options, there is no collateral required by the small business owner. Normally the MCA lender can approve your application in 2-3 business days. Repayment – Merchant cash advances do not have set repayment terms, but rather a percentage of each credit card sale. Your future credit card sales volume will determine the rate at which you pay off the MCA balance. If you credit card sales are slow, you will repay a smaller amount than you would when you’re receiving more credit card sales. This is a primary benefit to a small business owner, since the remittance process adjusts to the flow of your business and is predictable. Normally the MCA lender can release the capital advance in five business days. A small business loan is designed for those businesses that have a longer history and stronger credit profile. Your business will receive a lump sum of capital with set payment terms and interest rate by the lender. The amount of the lump sum, repayment terms and duration will be determined by your type of business, monthly sales, credit history, and profitability. Depending upon the lender, you may be required to also secure the loan with some type of collateral, such as inventory, real estate or personal guarantee. Qualifications – The small business loan lender will evaluate your business primarily based on its historical financial health. Normally your business will need to have been operating a minimum of one to two years. You will need to provide 3-4 months of bank statements and possibly previous tax filings. Your lender will have a higher expectation for your personal and business credit history. Unlike a merchant cash advance, there is likely some type of collateral required by the small business owner. Normally the small business loan lender can approve your application in 2-3 business days. Repayment – A small business loan does have set repayment terms. Regardless of your future business performance, you will be required to remit payments against the loan as agreed to. Depending upon the lender, terms may range from 4 to 18 months, with ranges of interest rates based on your business financial profile. If no collateral is required for the loan, the term of payment is shorter given the higher risk to the lender. The small business loan lender can release the capital in five to ten business days. 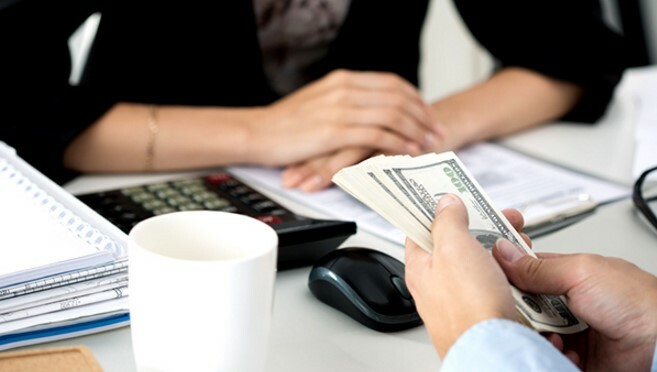 There are a variety of factors you should consider before deciding whether a merchant cash advance or small business loan fits your business’ capital financing needs. If your business is less than a year old and processes credit card sales, a merchant cash advance alternative offers your business a variety of benefits. If your business has more than one year in operation, has a stronger financial history and is willing to provide collateral security, a small business loan may be the preferred option for capital.